30hrs and a lot of fun . . . The academic year is drawing to a close, and we want to congratulate all of our students for their achievements over the last twelve months! Our first year students are the first to finish all their course work, so we invited them to an informal, creative and fun challenge to celebrate their start of the summer break . . 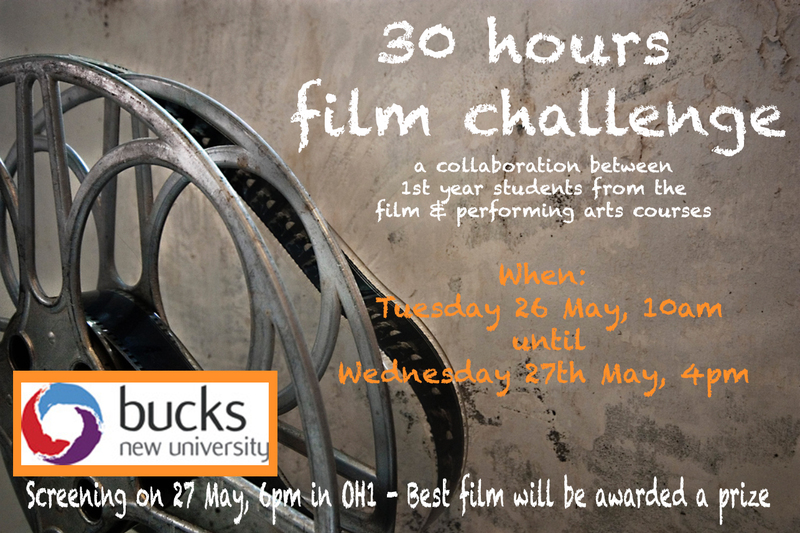 The 30hrs Film Challenge was an extra-curricular collaboration between first year Performing Arts students and first year Film&TV Production students. As part of this challenge, students from each course collaborated with each other in small teams in order to devise, script, shoot and edit a short film from scratch within just 30 hours! in favour of interdisciplinary approaches . . .
During a performing arts degree, students are often expected to collaborate; with each other, with students from the years above or below, or with visiting practitioners and guest lecturers. 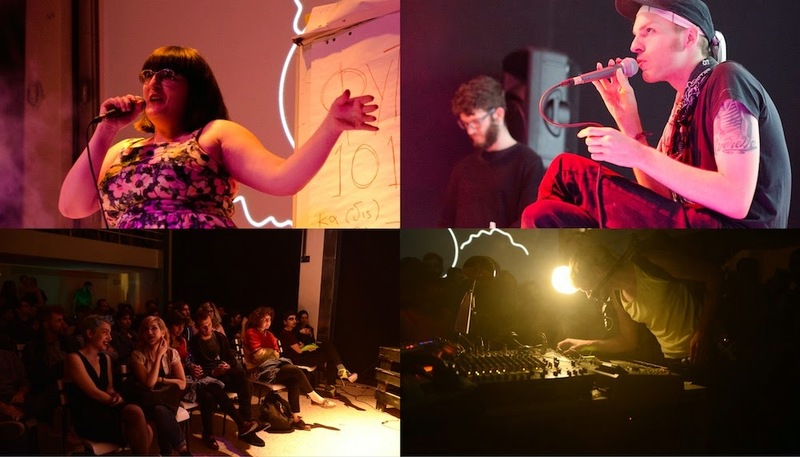 At Bucks New University, collaborations often emerge from across different courses, and the range of creative degrees on offer encourages interdisciplinary projects amongst students and staff alike. With degree courses in Performing Arts, Dance, Film & TV Production, Audio & Music Production and Graphic Arts, there is a network of creative opportunities that connects students from various disciplines. Furthermore, all of our lecturers are professional practitioners and researchers at the forefront of their field. It is always exciting to explore the similarities and idiosyncrasies of our respective disciplines and we want to keep you informed about what is happening in the various departments with which our students collaborate. We were particularly excited about a music and performance event, which involved Dr. Fil Leropoulos, senior lecturer in Media Production and expert in experimental film and video art. Read on to hear more about Sound Acts, which was held in Athens from 24-26 April 2015 . . .
Our third year students will soon graduate and enter the professional world; to help them with this transition, we held an Industry Panel in March, and a great range of guest speakers gave useful and inspiring tips on how to enter the industry. For anyone who has missed the events, below are link to the videos from the day. We also wanted to remind you of the 10 tips that James Grieve shared, as we think they are very useful.